Every famous company has rumors about how they got or earned their name. There are always appropriate reasons or some logics behind those names. For example, most of us don’t know what exactly Yahoo stands for; actually it’s not a word but an acronym for Yet Another Hierarchical Officious Oracle. Cofounders selected the name because they liked the slang definition of Yahoo. There are lots of more interesting stories yet to be known. Let’s find out how some of the big Companies in the world got their names. Coca-Cola is a carbonated soft drink, often referred to simply as Coke. It was first created in 1886 and named for coco leaves and cola nuts, originally used as flavoring. Pepsi was first produced and developed in 1893 and introduced as Brad’s Drink. In August 1898, it was renamed Pepsi-Cola and then to Pepsi in 1961. It is named from the digestive enzyme pepsin. Nikon was established in July 1917 when 3 leading optical manufacturers merged to create comprehensive and fully integrated optical company, Nippon Kogaku Kogyo Kabushikigaisha. In 1988, the company was renamed Nikon Corporation, after its cameras. Today, Nikon is one of the subsidiaries of Mitsubishi. In 1994, a team at Netscape was thinking of names for a new web browser to take on NCSA‘s (National Center for Supercomputing Applications) Mosaic browser. They were looking for something that would crush the competition and what they looked to was Godzilla. Combining “Mosaic” with “Godzilla” brings you to the current day name, Mozilla. Vodafone is a short form of Voice, Data and Telephone. It was chosen by the company to reflect the provision of voice and data services over handheld devices/mobile phones. The company started in 1982 with the establishment of the Racal Strategic Radio Ltd. – Largest maker of military radio technology in UK, which eventually evolved into Vodafone. Skype drew its name from the lack of availability of the name it really wanted to use. Skype is a combination of sky and peer-to-peer. Initially, it was shortened to Skyper and again because of shortage of name availability, they had to go for Skype. In 2011, Microsoft acquired Skype communication for $8.5 billion. ASUSTeK Computer Inc., commonly known as Asus was founded by four Acer employees in 1989. They derived the name from the mythological Greek winged horse Pegasus. According to the company it embodies the purity, strength, and adventurous spirit of this unique creature, and soars to new heights with each new product it creates. Canon is a Japanese multinational corporation, which was originally named Seikikogaku kenkyusho. It is well-known for producing Japan’s first prototype 35 mm camera with a focal plane based shutter. In 1947, the company name was changed to Canon Camera Co. Inc. and then shortened to Canon Inc. in 1969. The name comes from Buddhist bodhisattva Guan Yin (Kanon in Japanese). Read more about Canon history. The company started in 1865 and the name came from the Nokia Town and the Nokianvirta River. In 1967, it took a formal name, Nokia Corporation and was involved in 5 areas – Cable, Rubber, Forestry, Power generation and Electronics. In 2014, the company was bought by Microsoft in exchange of 7.2 Billion US dollars. At present, Nokia has 3 businesses left – Nokia Technologies, Nokia Networks and HERE. In 1895, Joseph William Foster with his two sons founded a shoe company named J.W. Foster and Sons. Within a couple of decades, the company became popular worldwide and their shoes were worn by British athletes in the 1924 Summer Olympics. In 1958, two of the founder’s grandsons, Jeff and Joe Foster, renamed the company, Reebok. It is stylized form of rhebok which is an African antelope. Twitter is originally started out as twttr, inspired by Flickr and 5 character length of American SMS short codes. One of the early alpha user (@crystal) suggested “FriendStalker” too. The founders did the bunch of name storming and came up with a word “twitch”. However, they didn’t like it because it doesn’t bring up the right imagery. So they looked in the dictionary and came across the word, twitter, which was defined as ‘chirps from birds’ and ‘a short burst of inconsequential information’, and that’s exactly what they were looking for. The concept of free encyclopedia was proposed by Richard Stallman in December 2000. Wikipedia started life as Nupedia, a free online encyclopedia that had 7 step approval process to control article before being published. However, due to extremely slow production (21 articles in the first year), the team looked for inspiration to how to speed up the content publication process. The team later settled upon the idea of using Ward Cunningham’s WikiWikiWeb (first user-editable website) to gear up interest by allowing readers to edit and contribute articles themselves. Larry M. Sanger had the idea of associating Nupedia with a wiki-style website. He suggested giving the new project its own new name. On 15 January 2001, Wikipedia launched on its new domain, wikipedia.com. The server and bandwidth were donated by Bomis (Internet portal Advertising space) and many of its employees later contributed content to the encyclopedia. In 1984, Lenovo founders called a meeting to set a name, they all agreed to name the company “Chinese Academy of Sciences Computer Technology Research Institute New Technology Development Company”. Ultimately, the group settled on “Legend“, which is what the company was called for first 20 years of its existence. In order to expand outside of China, they had to come up with a new name because “Legend” was already taken by many other businesses. In April 2003, the company announced its brand new name, Lenovo, with a large media campaign. By the end of 2003, they had spent over 32 million US dollars on rebranding. In 2015, Lenovo released a new logo with the slogan “Innovation Never Stands Still”. LG Corporation established as Lak-Hui (pronounced “Lucky”) Chemical Industrial in 1947 and five years later, it became the first Korean company to enter the plastic industry. As the company expanded in plastic business, it established Goldstar Corporate Ltd. (Today, it’s LG Electronics Inc.) in 1958. Both Lucky and Goldstar joined and formed Lucky Goldstar. The company says it just stands for LG, instead of either Lucky Goldstar or Life’s Good. A few folks will tell you HTC stands for High-Tech Compute, which it once did but this is not the true reason behind the name. H. T. Cho and Peter Chou founded the company in 1997 and they both decided to use their own initials to form a name and that’s how HTC was born. HTC produced the world’s first touchscreen smartphones (in 2000), the first Android smartphone and the first Microsoft 3G phone. Samsung is a Korean word which means “three stars”. It was chosen to represent the virtues of being Big, Numerous and Powerful, like stars in the night sky. In the early stage, Samsung sold vegetables, dried fish, fruits and noodles. Later, the company diversified into many fields such as retails, insurance and security. In the late 1960s, Samsung entered into the electronic industry and its first electronic product was a black and white television set. Read more about Samsung History. Virgin is a private limited conglomerate company founded by Richard Branson in 1970. It consists of more than 400 companies worldwide and best known for its travel, entertainment and lifestyle area. The name was suggested to the founder by a friend who claimed they were complete virgins at business. Today, the net worth of Virgin Group is $22 Billion. Read the history of Virgin. Adidas is a multinational corporation founded by Adolf Dassler. The company is best known for its footwear and sports equipment. It has total revenue of $20 Billion and 46,500 employees. Adidas is taken from the nickname founder Adolf Adi Dassler. His brother Rudolf Rudi Dassler went on to found his own shoe company called Ruda presently known as Puma. eBay is a consumer to consumer corporation founded in 1995 by Pierre Omidyar. The site was launched as “AuctionWeb“. In mid-1997, Omidyar and Jeffrey Skoll (eBay’s first full-time employee and president) made a decision to change the name. The Domain Name was already taken by mining company based on Echo Bay, Nevada and hence registered as in short eBay.com. The first item sold on the web was a broken laser pointer for $14.83. The company was founded in 1995. Jeff Bezos left his job (vice president of D.E Shaw) and began to work on a business plan that eventually became Amazon.com. He started with the list of 20 products (Computer hardware, Video, Books etc.) that can be sold online. Later he decided to sell only books on the internet. Amazon.com meant to represent the potential of larger volume sales in an online bookstore as compared to physical bookstore. The company was incorporated as Cadabra on 5th July, 1994. According to the book (named Jeff Bezos: The Founder of Amazon.com) by Ann Byers, Bezos had a very legitimate fear that people could mishear Cadabra as Cadaver. Later, he came with an alternative, Amazon, which is taken from the name of the largest river in South America. No doubt, Bezos had big ambitions right from the beginning. Audi is an automobile and motorcycle company founded by August Horch. The name is actually taken from its founder only, Latin for Horch. August was banned for using Horch (by German Supreme Court) as a brand name in his new car business. He called his friend to decide the new name. One of his friend’s sons was quietly studying Latin in the room and blurted out audiatur et altera pars. In German horch means to hear and audire means to listen in Latin. Audi is the singular form of audire and that’s how they accepted the name Audi. Sony is a multinational conglomerate founded by Masaru Ibuka and Akio Morita. The brand name chosen from the Latin word Sonus which means sound. They selected because “SONY” could be pronounced easily in many languages. In 1946, the company had $530 and a total of 8 employees and now it has climbed to total assets of $152 Billion. Google began as a research project by two PhD Students Larry page and Sergey Brin. They originally nicknamed their engine BackRub because searching process is based on the backlinks present on the pages. Typically, they changed the name to Google, which is originating from the word Googol (10100). Google has over 1.2 billion unique visitors per month and a total asset of $94 billion. Read the Google history in depth. IBM is an international company that manufactures and markets computer software and hardware, hosting and consulting service ranging from nanotechnology to mainframe computers. The company was founded on 16th July 1911 by Thomas J. Watson and Charles Ranlett Flint. 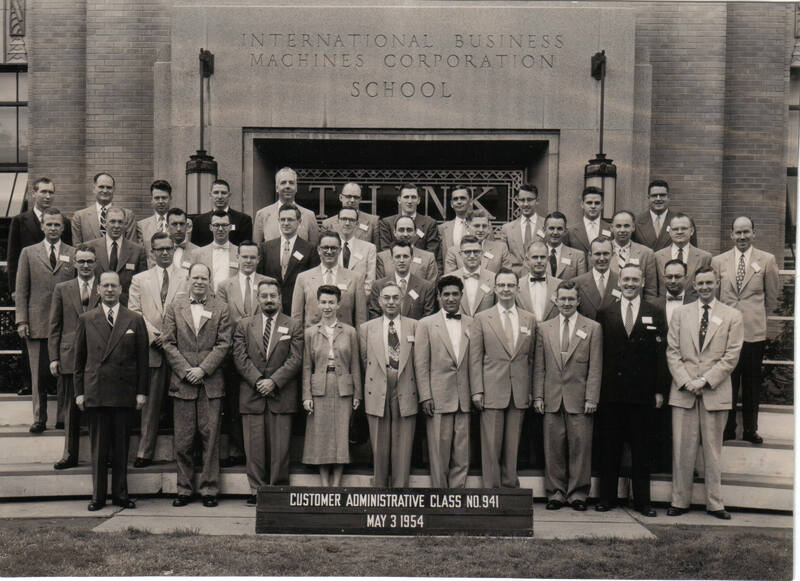 After leaving a national cash register Thomas Watson one-upped is former employers by calling his company International Business Machines. Read the valuable resources on IBM’s history. Apple sells computer software, hardware and consumer electronics. The company is best known for its Mac, iPod and iPhone products founded by Steve jobs and Steve Wazniak. Jobs suggested the name Apple Computer after his visit to apple Orchard (kind of commune). Apple was so much better than any other name they could think of. In 2007, the company dropped “Computer” from its name to become just Apple. Read the Apple Revolution: 10 key moments. Microsoft is a software giant company ($142 Billion Assets) best known for its Windows operating system and Microsoft office tools. It was founded by Bill Gates and Paul Allen in 1975. The word Microsoft (without hyphen) was first suggested by Gates on 26 November 1975 and the name became a registered trademark in 1976. Actually the name was derived from two words “Microcomputer Software” when Gates and Paul were building software for the Micro Instrumentation and Telemetry Systems’s (MITS) Altair 8800. Very Very Useful Information. Can I get your e-mail and Facebook id please, I want to contact you! This was wonderful information, very interesting!